Reminder, if you are planning to participate in Powder Puff this year in any capacity, your permission slips must be turned in to the Activities Office by noon tomorrow, Friday. Late permission slips will not be accepted. If we don’t have enough turned in to field teams, we won’t be able to play the game! Get those slips turned in! It’s Spring Spirit Week. Tomorrow is Stand Up and Cheer ! Wear your favorite team jersey or uniform. Go bulldogs. Attention Juniors and Seniors: Prom tickets are now on sale for $60 each. Tickets will only be sold to current Junior and Senior students. If you are taking an underclassmen as a date, you will need their name and UID to purchase their ticket. If you are taking an off-campus guest, you must bring the signed and approved guest permission slip with you to purchase their ticket. Permission slips are available from the Dean’s Office. No ticket changes will be made, so do not purchase a ticket in another students’ name to give to an off-campus guest who has not been approved. Every guests name must appear on the guest list and every guest must have an ID. No exceptions. If you have questions, please see Ms. Black in the Activities Office. Please do not come to the finance office during class time to purchase a prom ticket. Seniors, if you have purchased a ticket to Gradnite, you will receive a permission slip after Spring Break and it must be signed and turned in to the Activities Office. This is considered a school event and you must have one even if you are 18. More information to come after the break. 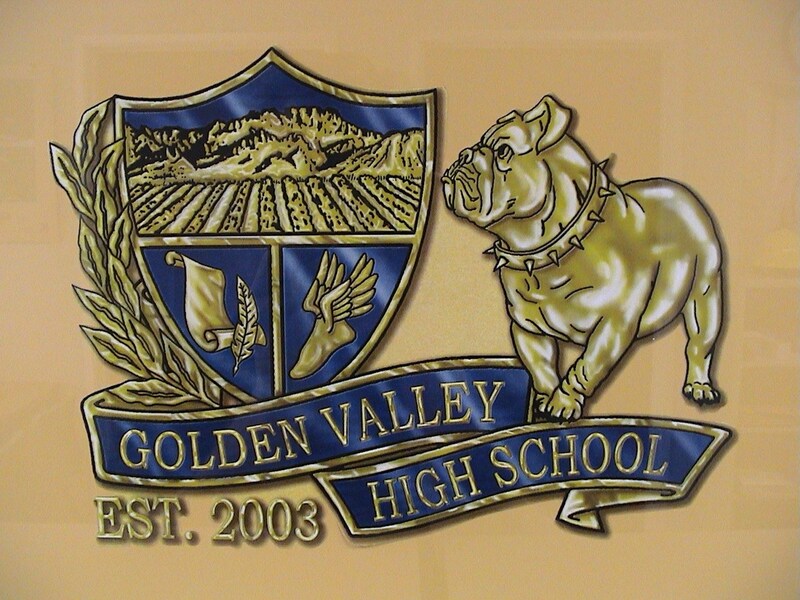 Seniors: the Golden Valley English Department has two scholarships available this year. To apply, pick up an application from your English teacher or from Ms. Moreno in the counseling office. Applications are due May 9th. 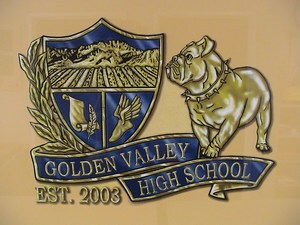 The Bulldog Bag is giving out $500.00 scholarships. You can pick up the application in the counseling office. All applications must be returned no later than May 6th. Please release JV Tennis players at 9:15 today for their 9:30 departure. Please release Varsity Tennis players at 9:45 for their 10:00 departure. If your club is participating in Bulldog Bash this evening, please be ready to go by 5:30.